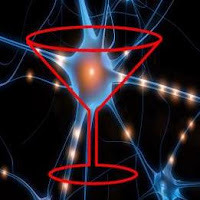 World Cocktail Week runs May 6-13, 2011, and commemorates the first time the word “cocktail” was used in print back in 1806. It is, if nothing else, a good excuse to drop by your favorite Salt Lake City watering hole and have a cocktail. Contrary to popular belief in much of the country, there are many places in downtown SLC (and throughout Utah) to have a cocktail. Here is a handful to get you started , not only for World Cocktail Week, but all year long. Since the liberalization of Utah Liquor Laws, there are a lot fewer private clubs in Utah. Many of the best spots for cocktails are still linked to restaurants, though (you wouldn’t want to drink on an empty stomach, would you? ), but the first two spots listed here are not. Bar X is an SLC institution, an ex-Beer bar that now serves excellent craft cocktails. My review here. Kristauf's Martini Bar is a cocktail bar with locations in SLC and Park City and over 75 “Martinis” (cocktails) on the menu. Bambara is a great boutique bar attached to a public restaurant. The New Yorker Club is an SLC institution, luxurious and pricey. Metropolitan restaurant has great cocktails but very pricey food; try the dinner special on Mondays.